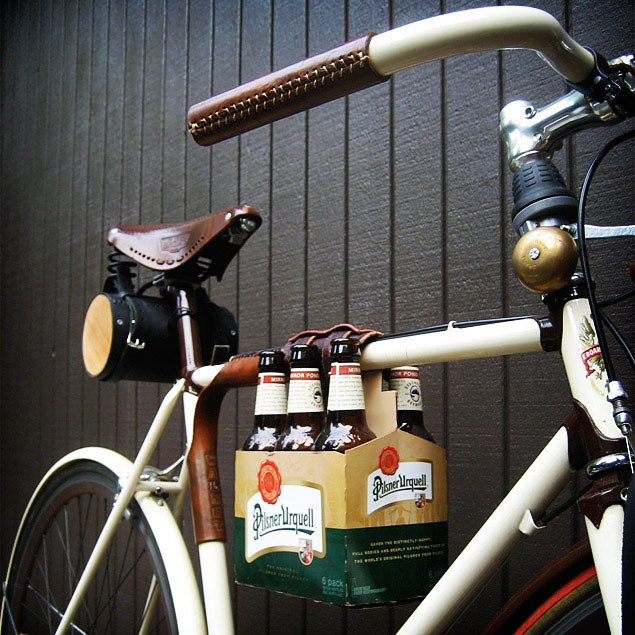 We wholeheartedly endorse this fine handmade leather SixPack Holder. This "Polo-Mallet Holder" is also useful for holding some suds securely to your bicycle. Check out their awesome handmade products.